The Bar and Mooting Society of King’s College London extends an invitation to Lincoln’s Inn members to attend their Annual Networking Dinner on Friday February 15 2019. 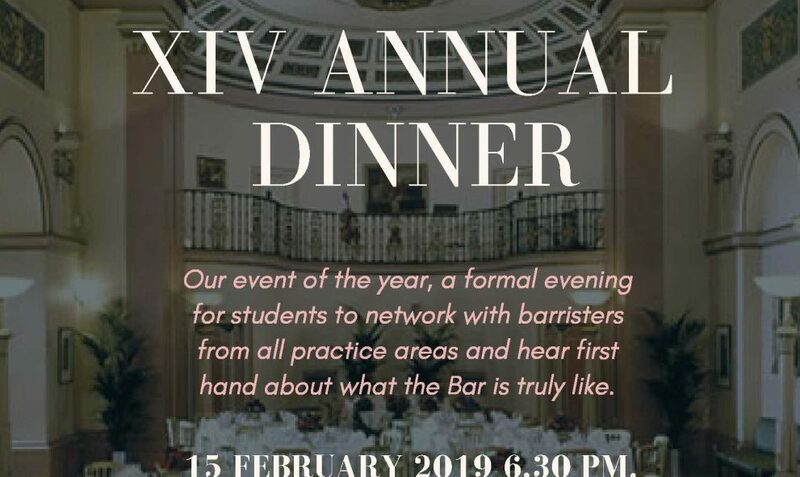 This is their yearly networking dinner where students can meet barristers from all different areas of the profession and get a feel for what practising as a barrister is really like. This year the dinner will be a celebration of the Society’s Diversity Series and of diversity at the Bar in general. The evening is a black tie/formal dinner with drinks on arrival and a three course meal with wine, followed by coffee at the end. This year the Dinner will be held at The Lansdowne Club in Mayfair and will conclude with a speech from their Guest of Honour, Mr S Chelvan from No. 5 Chambers. In keeping with their initiative to widen participation and increase social mobility, this year they are offering five scholarships for students on the King’s Living Bursary or the International Hardship Fund, courtesy of The Chancery Bar Association. The Society acknowledges that ticket prices are still high (between £45 and £55) , however, in previous years student members have been asked to pay as high as £80 per head and so the Society has actively tried to reduce the expense.